This cozy house is suitable for families. It was a well-known Acountry hotel and has a large self-sufficient kitchen, wooden paneled guest rooms with counter and beer taps, a fireplace and a seminar room. Our house is located in a valley, across from a beautiful playground. It has a lawn and is situated on a slope. 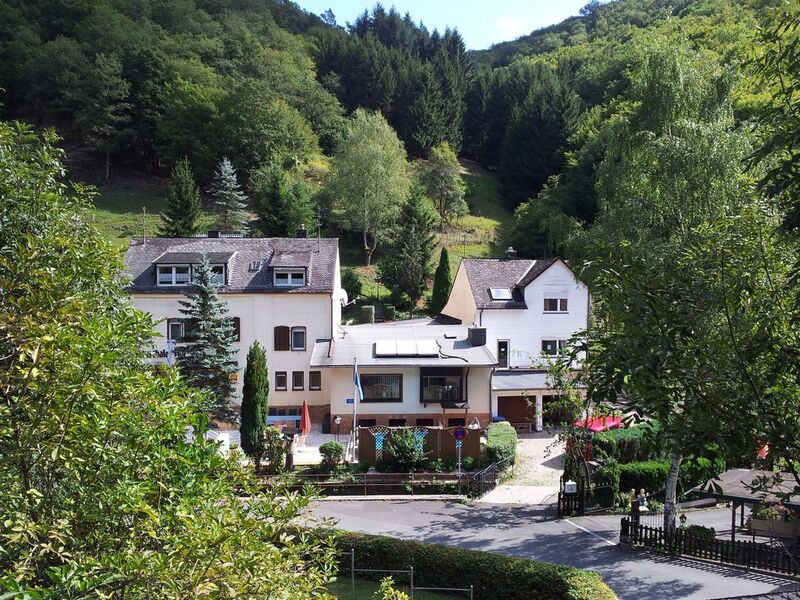 The 220 soul community in the mid-Rhine Schiefergebirge is very quiet. This house has a big ktchen if you want to prepare a good dinner to your friens. You can also order super good dinner from the region into the house or - just have your dinner outside! It is an 8 minute drive to the Rhine-River and about 20 minutes to Rüdesheim and Loreley. Go to boattrip on the Rhine-River or try the super wines that are wellknown.